'It is like taking bubble gum from a sweet shop. They make off with one packet at a time, then after a while the box is empty." The speaker was the chief executive of one of London's boutique investment banks and he was explaining how his bigger rivals made their money. It is a telling analogy. The huge profits that the investment banks made before the credit crunch and are beginning to make again enabled them to pay the bonuses that are causing such outrage. Yet it took the catastrophic failure of risk management to bring this to public attention and even now politicians, regulators and the general public are struggling to understand the dark arts of investment banking. There is no doubt that when markets are favourable, investment banking is a highly lucrative business. In March 2007, the Royal Bank of Scotland reported its last set of results before the markets began to crack. Its investment-banking arm was called Global Banking and Markets and although it was not one of the world's blue-chip investment banks, it accounted for an impressive 40pc of the bank's total profits. Johnny Cameron, the divisional head, was delighted: "That is a huge number. It is bigger than Coca-Cola's profits!" The Royal Bank and its employees were not alone in enjoying this bonanza. The big American investment banks that dominated the industry had just reported combined profits of more than $20bn (£12.2bn in current conversion) for 2006 and their employees many of whom worked in London received more than $70bn in compensation. The years 2007 and 2008 were horrific for the banks but recent results from the investment banking division of Barclays and the big American investment banks Goldman Sachs and J P Morgan showed that the industry is already bouncing back. But as the investment banking industry contemplates a brighter future, serious questions are being asked about its worth and value to society. Urged on by President Sarkozy, the G20 leaders meeting later this month are being pressed to come up with plans to curb bankers' bonuses and public opinion is still inflamed by the damage inflicted on the global economy by the banking crisis. It has been a very sudden turn around in the investment banks' status. 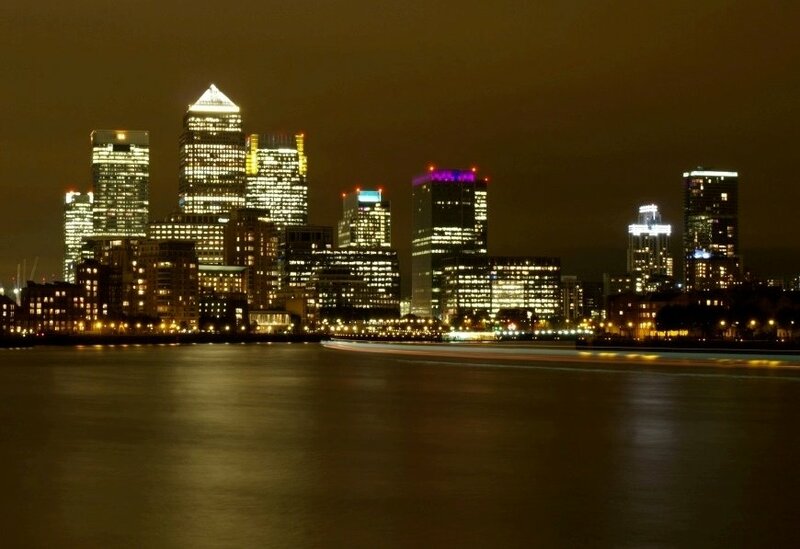 As recently as 2004 City bankers were being told by the then Chancellor Gordon Brown: "What you have achieved for the financial services sector, we as a country now aspire to achieve for the whole of the British economy." Now, less than five years later, their chief regulator, Lord Turner, is musing that the financial services sector has grown beyond a socially reasonable size. The investment banks do a range of different things but there are three core activities: advising companies and governments, dealing for financial institutions and playing the markets with their own money. Companies and financial institutions need advice when they want to make acquisitions and strengthen their balance sheets and governments need help to fund debt. The investment bank advises on tactics, negotiates terms and arranges to raise money from institutional investors, charities, family foundations and countries such as China, Singapore and Russia with surplus cash to invest. This is investment banking on its strictest definition and it is essential to the smooth functioning of capitalism. Properly controlled, it can finance innovation, growth and productivity. It is the most glamorous part of the business and it is carried out by high profile and highly paid investment bankers. Fees are based on the size of the deal. Traditionally it is where the investment banks made most of their money. The investment banks make the really big money trading in markets for customers and themselves. A wide range of assets such as corporate and government securities, oil, precious metals, mortgages and foreign exchange passes through the dealing rooms of the investment banks every day. A smoothly functioning market enables savers and fund managers to go about their business and corporate treasurers to insure against future swings in interest rates and currencies. The banks make their money by charging commissions where they can but more importantly by taking advantage of the spread between the "for sale" and "to buy" prices in securities and using their knowledge of the direction of markets to invest their own money. Whilst pure investment banking and trading have an important role to play in global capitalism, there is evidence that in the past 30 years market activity has got out of hand. Academic research shows that most mergers fail to add value and that the majority of fund managers underperform the market. In other words, all of that frenetic activity is to little avail and it is the investment banks that stand accused of egging on corporate chief executives and fund managers. The explosion in volumes is one of the chief reasons why investment banks are able to convert this activity into profit. In the decade up to 2007, global turnover in equities quintupled, bond market issuance trebled, and derivatives' value rose by more than 16 times. Although the margin on each individual trade is often small, multiplied millions and billions of times over, it adds up to vast revenue. Key parts of the investment banking industry charge fees that are a fixed proportion of the money involved in the trade, a method of pricing called ad valorem. In rising markets this puts the investment banks' fees on a rising escalator. The bigger the deal, the bigger was their reward, culminating in mega-mergers such as the £8.5bn takeover of Britain's Abbey National in 2004 by the Spanish bank Santander. This generated fees of £121m for advisers. Although investment bankers like to describe their industry as competitive, price pressure is felt only selectively. Transparent sectors such as equity and bond trading on public markets where investors can see exactly what is going on have seen commissions fall or disappear altogether and the spread between the "to buy" and "for sale" prices contract. But margins are very high in complex, opaque areas such as the structured derivatives trades that are carried out in private. In pure investment banking, the fees remain high for other reasons. New listings of companies on the stock market are rare at the moment but when markets were booming before 2007, academics noted that the fees charged on such business by the US investment banks were clustered around the same level of 5-6pc in their home market. This is not thought to be a case of collusion. High prices persist because investment banks are involved at crucial moments in their clients' lives. If a company is seeking to raise a lot of capital or make a large acquisition, advisers' fees are the last things on their mind. The investment banks' business model gives them a better view of the financial world than is available to most other market participants and the rules allow them to make the most of that advantage. Provided they do not get carried away with themselves and neglect basic risk management, an error that was made with near fatal consequences in the run up to the banking crisis, the banks should have the edge over other market users. This business model gives the banks a double-edged sword to brandish. One side of the sword enabled them to make huge rewards in the good times – over $180bn more than what might have been considered normal between 1980 and 2000 on my calculations. They became so big and powerful that when greed and complacency brought them down in 2007-8, they were too big to fail and were able to use the other side of the sword to force governments to bail them out. The global economy needs to have effective investment banks for reasons but they must be cut down to size. Focusing on bonuses addresses the symptom rather than the cause. Big bonuses are paid because most years the banks make too much money. They make too much money because they are allowed to combine too many conflicting activities. Breaking up the banks into trading houses that provide customers with liquidity, research firms and boutiques that advise corporate clients would remove that advantage and ensure that the investment banks remained proportionate in scale and influence. That way we would be able to keep the bubble gum in the sweet shop, avoid the risk of over-mighty finance threatening the global economy and retain the socially and economically useful functions of the industry.